On Gay Pride Saturday, have fun in the sun and get slayed in the shade as HEAT! 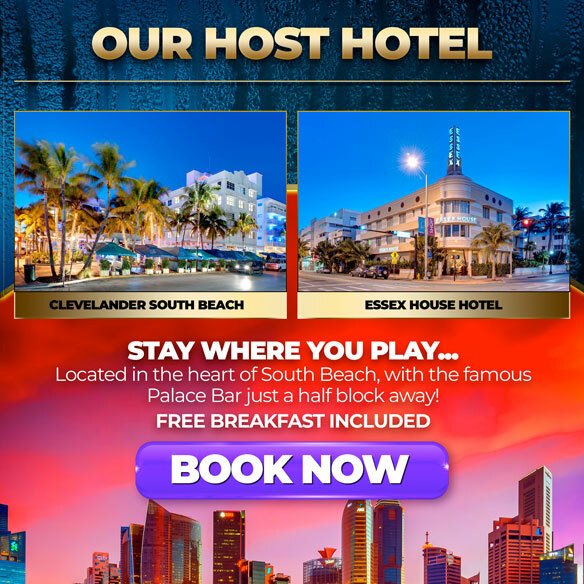 returns — taking over the incredible Clevelander Pool and Patio — right on Ocean Drive, making a splash with beats by DAN SLATER (Sydney) and DANI BRASIL (The Week Brazil). Ranked one of South Beach's Top 5 Pool Party Spots, get ready for a massive production kicking off at 1pm and continuing thru sunset with state-of-the-art lights, sound and LEDs — right on Ocean & 10th Street. VIP tickets include express entry to skip line, 2 Free Vodka Drink Tix valid til 2PM, Private VIP Lounge, and extra perks. Presented by Jake Resnicow and Scott Hauser. Benefiting Miami Beach Gay Pride.